Recent declines in the abundance and diversity of wild bee species have made it important to understand how introduced species such as honey bees contribute to pollinating native plants. 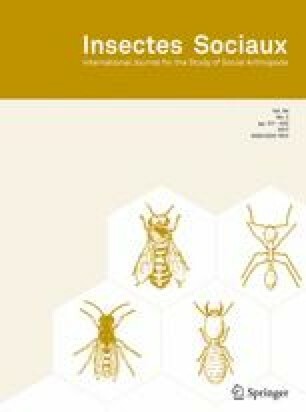 In this study, we decoded the waggle dances of Apis mellifera pollen foragers and used DNA barcoding of bee-collected pollen over 17 months to characterize spatio-temporal patterns in recruitment behavior and dietary breadth in a diverse yet fragmented Mediterranean scrub environment. Foragers danced for small, nearby patches of pollen resources during the cool dormant season but danced for 1.6–2.7-fold more distant and more widely dispersed resources during the hot dry season, a time of seasonal drought and floral dearth. Individual foragers collected pollen from a wide variety of species, but colonies focused recruitment on a small subset of common species in flower during each season: 2.7, 6.3, and 10% of all species in bloom during the dormant, growth, and dry seasons, respectively. Pollen foragers danced almost exclusively for cold-adapted native species during the dormant season, equally for native and non-native plants during the short growth season, and primarily for non-native ornamental species during the dry season. Our results suggest that honey bee recruitment behavior and dietary breadth may be influenced by seasonal changes in pollen resources. Furthermore, they indicate that honey bees may be useful in pollinating common native plants, and that non-native ornamental species can provide a major source of colony protein during a seasonal dearth of flowering native species. The online version of this article (doi: 10.1007/s00040-017-0565-8) contains supplementary material, which is available to authorized users. We would like to thank David Holway and Joshua Kohn for their comments on this manuscript and for the comments of the anonymous reviewers, who have significantly improved our manuscript. We are indebted to the help of several research assistants: Erin Hourigan, Emerson Lin, Gee Ryu, Rudolf Scherban, and Alexander Tablante. We would also like to thank the San Diego Natural History Museum for their help with database records.